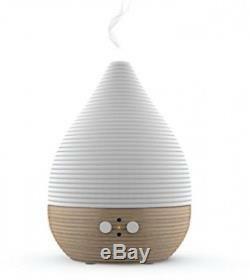 Aroma Essential Oil Diffuser, Scent and Fragrance Aromatherapy Humidifier - Now with Handmade Ceramic, FSC Certified Beech Wood, Belgian modern Design, Timer, LED Light, Long Cord, Silent Fan. NEW Belgian DESIGNED AROMA DIFFUSER FROM PILGRIM COLLECTIONTM. 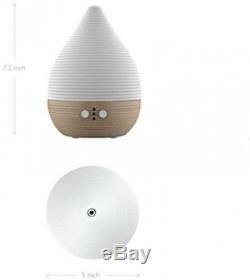 REAL FSC certified BEECH WOOD and HAND MADE ceramic: Teo aroma diffuser gives you a superb decoration object to make your home a peaceful place. The FSC certification means the beech wood is coming from a well managed environment friendly forest. WHISPER-QUIET: The silent fan and natural design bring a whole new level of calm to your home. TIMER function: 1H, 2H, 3H in fully on or alternate mode to be able to adjust the essential oil intensity just as you like it. AUTOSTOP and EFFICIENT: The ultrasonic chip ables you to enjoy the Teo until a 250 sq ft room without open flame and by using classic tap water. SLEEP MODE: You can use Teo in sleep mode with LED lights OFF. Teo will also turn off automatically after up to 12H. Resistant to the MOST AGGRESSIVE OILS, like citrus and eucalyptus, thanks to it's special resistant PC plastic used for the reservoir. INCLUDED IN THE BOX: 1 TEO aroma diffuser, 1 transformer cord, 1 instruction manual. FSC certified BEECH WOOD, CERAMIC and BELGIAN DESIGN. EXTRA Long cord: 72 inch. Water and surface capacity: 110ML / 250 SQ ft.
Up to 12 hours working in intermittent mode / 6 hours in fully on mode. Warm LED with on/off or mediation light. Problem: No or weak mist output. Solution 1: Do not use distilled water with our product, classic tap water works fine. Solution 2: Make sure your TEO diffuser is not put on a tissue or napkin as this might block the airflow coming from below the product. MODERN + SLEEK: designed in Europe, Teo is a ultrasonic aromatherapy diffuser made of FSC-certified beech wood for the base and handmade ceramic for the cover. The water tank is made of high resistance PVC plastic so you can use the most aggressive oils, like citrus and eucalyptus. 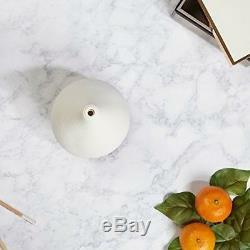 Teo is a must have for your home and interior design. FUNCTIONAL: with its added functionalities, including multiple mist and light modes, a meditation light, a timer, Teo allows for a unique and personal wellness experience at home. INCLUDED: an extra long adaptor chord (72 inch) and instruction manual. RELAXING: The whisper quiet fan and natural design brings a new level of serenity to your home day and night. It helps reduce stress and enhances the mood. The ambient LED light can be switched fully on, on meditation mode (following your breathing pattern), or on sleep mode (light off). ECO FRIENDLY + HYGIENIC: Teo wipes out pet and smoke ODORS. It's great for ALLERGIES and to reduce GERMS associated with flu/colds. The advanced TEO diffuser acts also as a humidifier and improves your air quality. SAFE & EFFICIENT: The timer (1H, 2H, 3H in fully on or alternate mode) allows you to adjust the intensity of essential oil diffusion. It will turn off automatically after 12H or when the water is low. The 110ml water tank allows you to enjoy the diffuse in a room as large as 250 sq ft room WITHOUT OPEN FLAME. The item "Aroma Essential Oil Diffuser Scent And Fragrance Aromatherapy Humidifier" is in sale since Thursday, January 25, 2018. This item is in the category "Home & Garden\Home Décor\Home Fragrances\Essential Oils & Diffusers". 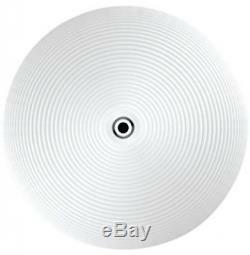 The seller is "new_power_canada" and is located in Multiple Locations. This item can be shipped to United States, Canada, United Kingdom, Denmark, Romania, Slovakia, Bulgaria, Czech republic, Finland, Hungary, Latvia, Lithuania, Malta, Estonia, Australia, Greece, Portugal, Cyprus, Slovenia, Japan, China, Sweden, South Korea, Indonesia, Taiwan, South africa, Thailand, Belgium, France, Hong Kong, Ireland, Netherlands, Poland, Spain, Italy, Germany, Austria, Russian federation, Israel, Mexico, New Zealand, Philippines, Singapore, Switzerland, Norway, Saudi arabia, Ukraine, United arab emirates, Qatar, Kuwait, Bahrain, Croatia, Malaysia.